Light Industrial Fabrication. Food and Beverage Production. Maker space. Research and Development. Apparel Shop. Furniture Making. Manufacturing Metal Work. WoodWork. Casting. Jewelry Making. Ceramics. Craft Beer. Photography Studio. Coffee Roasting. Exhibit Production. Film/Animation Studio. Prototyping. 3D Printing. Shoe Design. Robotics. Graphic Arts. Silkscreen. Letterpress. Electric Vehicles. WHAT WILL YOU MAKE HERE? Psst! Spaces are going fast. Diverse spaces available to suit your business, competitively priced to support your bottom line. Our suites are incredibly flexible; from small 200 SF spaces that are perfect for artists and small production studios, to 26,000 SF suites built for industrial-scale production. If you're making something, you can make it here. Common areas are open to all, and create a great opportunity to meet potential collaborators and creative people who share the space. To learn more, book a tour, or start the leasing process, get in touch! The main floor is characterized by soaring bow truss ceilings and abundant natural light. The main production space houses a diverse range of suite sizes and features clear ceiling heights up to 32 feet. Suites range from 1,800 SF to 8,600 SF and are well suited for manufacturing, fabrication, and production. Smaller suites at the west end are ideal for artisan ateliers and office space. These suites have windows, wood joist ceilings, concrete floors, and share a common central space. Office space can be rented in conjunction with large suites, and any spaces can be combined. The ground floor spaces are ideal for manufacturing, fabrication, and production. This floor features 9.5 foot clear height ceilings and each suite has a roll up door to the street for ease of loading and unloading. Suites range from 1,800 SF to 3,400 SF and can be combined. We craft spaces that are inventive, considered and built for people. Mass. Timber. Light. Joy. 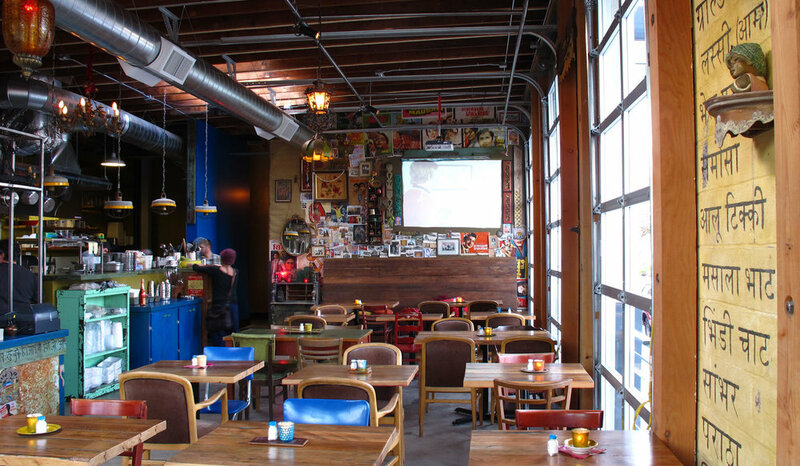 Albina Yard is creative office space for small businesses. Recognized nationally for pioneering the use of cross-laminated timber panels, paving the way for broader market adoption of renewable mass timber construction technologies in Portland and the U.S.
We retrofit existing building shells to create a welcoming space that would help portray the vibrant color, high energy atmosphere of Indian street food culture. The result are places of comfortable, rustic spaciousness, with lots of windows to let in natural light and views of the busy street outside. We built a large-format work space with flexible workstations, an edit bay with a sound recording room, a comfortable conference room, kitchen and break area, and an efficient data/server room. 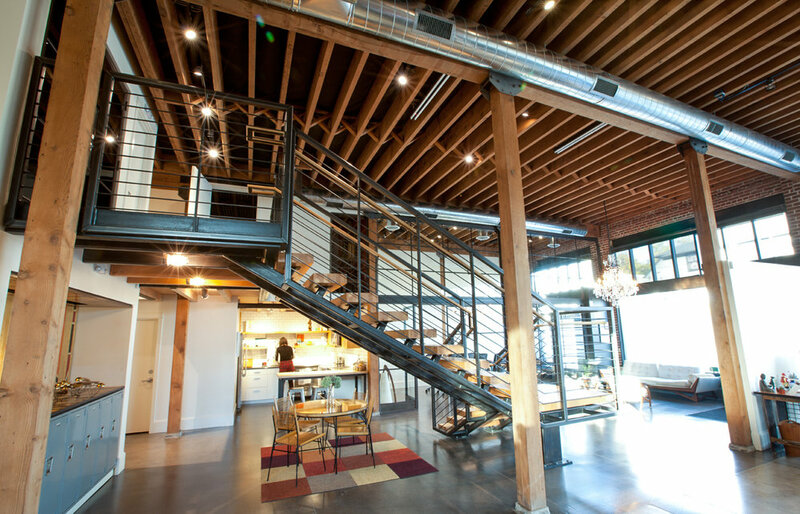 A central steel and wood open stairway serves as both a focal point and as a space delineator.